If you are looking for a top quality company you can trust for all of your roof repair needs, you’ve found it! When it comes to housing, it is important to consider all factors before building a house. A person shouldn’t just put up a house without even considering the materials that are to be used and the location on where they are planning to build. Location is an essential factor because it also determines the weather conditions in the area. Even though a person may have their dream home in mind, they can’t easily build it if the materials they use don’t fit well with weather. Arizona is known for its brutal desert heat. When it comes to choosing the right roof overhead, it should be carefully considered because not just any kind of roof would do. Arizona roofs take a lot of damage from the wind, rain and sun during all times of the year and they need to be protected and maintained. 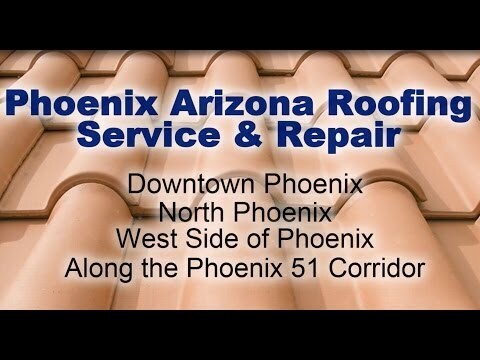 Hiring a roofing contractor for Phoenix roof repair is a valuable investment into a home and the return on investment from selling a home with a solid roof is invaluable. If the home has standard asphalt shingles PHX they need replaced within years and if they suffer from damage they need replaced immediately. 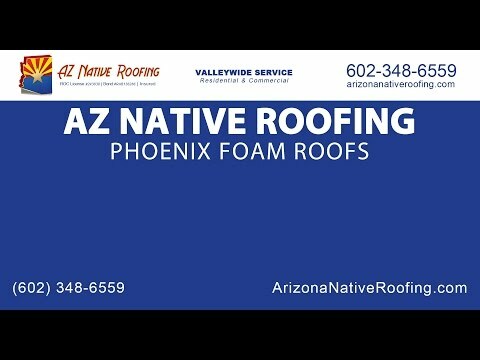 A family home with a flat room can benefit from hiring a Phoenix Arizona roofing company to spray the top of their home with white foam that shields the top of their house. The white foam spray lasts longer than a typical roof and requires no maintenance and lowers cooling costs during the summer. An upgrade to the traditional asphalt shingles replacement is to replace them with clay tiles instead. Tile roofing in Phoenix is rich in color, long lasting and durable to Arizona’s wind, rain and sun exposure. Arizona’s environment during the summer reaches over 120 degrees and can torture a roof in need of repair. After the summer months dry out the roofing material the rain fill in the holes and leaks right into your home. 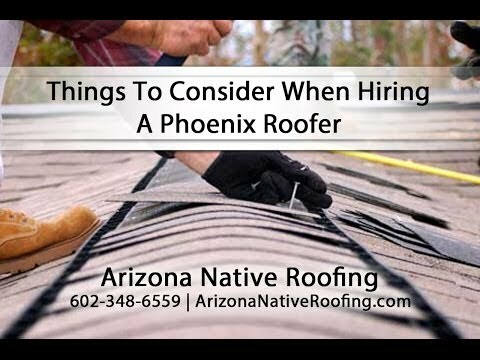 Speak with an experienced local roofer in Phoenix to provide the best protection options based on the home and type of current roof. If you need a new roof, not just a roof repair, we do that to. Whether it is a remodel, or a new home purchase, we can handle the job. Getting a properly constructed roof the first time will save you a fortune in unnecessary roof repair! We will stand by and guarantee all of our work. You can meet with one of our roofing contractors to discuss your project or call or email us. We’re family owned and operated and that means we will take care of our customers because we’re building a legacy, not just making some quick cash and leaving. We’re part of our local business community and proud to be residents of Arizona. We have testimonials on our website from some of our very satisfied customers, and we can always provide references to prospective clients on request. If you are looking for a top quality roofing company with a roofing contractor you can trust for all of your roof repair and residential roofing needs, you’ve found it.